Save off the list price of all the frequencies when you purchase them as a kit. to the point of extinction both mentally & physically....I've got to tell you that I feel marvellous, almost dangerous! " "...I had an unbelievable experience with one. I came down with a cold last weekend and was feeling pretty miserable. I was doing my normal routine of ingesting Vitamin C, Zinc and lots of Garlic. But I had already gotten to the colored mucus stage of the cold and those nutrients, while they help, have never been able to completely wipe out a cold once I got to that stage. I sat down at my computer and played Doc's "Viral Inhibiter" frequency for 3 hours straight. After 2 1/2 hours of playing, I felt like the cold was gone but wasn't sure if I was just temporarily feeling better or if it was totally gone. So I played it for an extra half hour. I can say positively the cold really was gone and never returned that weekend. It is almost a week later and I am cold free! I am really excited about this discovery. These frequencies are totally amazing!..." "...I used these files on a Redtail Hawk in Rehab today. They worked, mostly in motivation above anything else. She flew over a cliff versus around a cliff. big break through... "
in a long time the rest of the day. I had it running for many hours, most of the day actually. I had a good day, really. It seems to work well. And also, I had to pee much more than I usually do..."
POWERFUL AUDIO FREQUENCIES THAT CONTAIN MATHEMATICAL REPRESENTATIONS OF STATES OF CONSCIOUSNESS, EMOTIONS AND PHYSICAL WELL BEING. UNLIKE ANYTHING YOU'VE EVER WITNESSED OR HEARD OF BEFORE!!! This is NOT ; Binaural Beats, HemiSync, Subliminal Vocalizations, or Hypnosis. 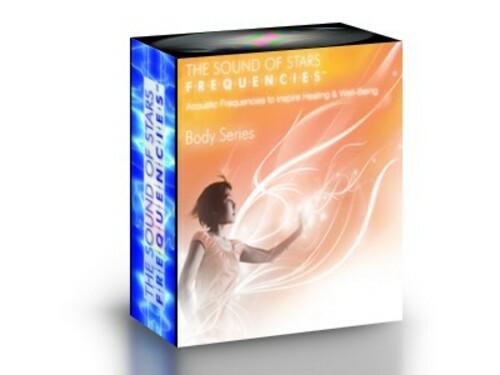 You can now access free demos of some of our most used and popular frequencies and receive a special offer on an introductory starter kit to help you on your road to health and wellness. This starter kit offers you some of the top performing frequencies at a fabulous price reduction. I've been looping the ... frequency to deal with what I think has been the flu in my household. For me, it relieved symptoms in two hours (runny nose, beginning fever)... I looped it, and used headphones. For the children, I played it on a speaker, after gathering the children into a common area to be exposed to the frequency. My oldest 17yo, only suffered a runny nose for a day, the two middle ones had no symptoms at all of the bug (!! ), the ones after that had the runny nose and fever, but it was over and done with in three days after exposure to the frequency. So, for a first trial, I'm pleased with the results. It's better than a house full of children are so ill that they aren't sure which end to point at the toilet at any given moment :-). Now that everyone's healthy again, I plan on looping the Lithium frequency, and playing it as background... We will see if it helps to keep the peace around here! I uploaded a file with a description of my test results and some fotos from the darkfield microscope. I felt refreshed and in good mood except of friday morning where I was aggressive for about one hour after getting up. "Am feeling quite magnicent mentally & physically this morning, & as an added bonus, the arthritus in my back didn't give me any pain when I launched myself to the vertical standing position as it normally does. I reported on my use of the single Recuperation SSF frequency about a week or so ago with an almost miraculous increase in energy & good health after my recent very serious illness which flatened me almost to the point of extinction both mentally & physically. I'd like to share the experience of the 'sore feet' frequency. This was used on our cat. Area of injury: Back right leg/foot. I tried the 'sore foot' one as my cat has an injured foot and had been laying about for over a week now. We believe he may have gotten into a tangle with other cats. Anyway, when I started the downloaded freq, he got up and limped his way over by me and the computer laptop! Then he began to investigate (sorta like smelling) the computer as if to find where the sounds was coming from.. Then, he laid down on the floor next to me through out the duration.. Hmmmm?? I played it https://www.tradebit.comt day. I ran the 'sore feet' again on the cat and the same thing happened. Only this time he came and sat on my lap through out the freq. session! He positioned himself it seems so that he'd have his paws on the computer. Feeling the vibrations perhaps?? We noticed that he seemed to be limping less and putting more weight on the foot. Then later, I ran the 'Heal via many levels' and the 'Psyhic shield 1'. He was in another room at that time but came in this room when I was playing the Psyhic shield one. He again came right over to the computer and sat on the arm of the chair...just stairing at the computer. When the session stopped, he walked away. We're definately seeing some benefit. And as I said before, he'd been down for a week. Only moving if he had too to eat or go pot. Ran the 'sore feet' twice each day again . The same thing happened. For some reason he's drawn to the sounds. Now only has a slightly noticable limp. Well?? the cat is now 99 better after about 4-5 days of playing the frequencies a couple times a day. There's hardly a noticeable limp. He went outside for the first time in over 2 weeks...must be feeling stronger.. He's even 'fighting' again with the dog ..which is their normal play.. (like mutt and jeff). So he once again has https://www.tradebit.com play. Yesterday, I turned on the Sore Feet Remedy. I immediately felt pleasant tingling running through both legs! I was excited that it could be working so played it all day while working and then left it on (in the other room on computer) for about the first 3 hours while sleeping. I turned all sound off then and went back to sleep. I've been listening to this everyday for the past 5 days. What I notice the most physically is the voids that I am having, full bowel release at least 12 inches long. This is unusual for me. I can feel a warm buzz in my legs where I have bulging varicose veins. I also feel tingles on my feet. (nervous system) AND SPIRITUAL/MYSTICAL QUALITIES. Last night I listened to the anti age frequency at bedtime. After half an hour I felt my body tingling. This lasted a minute or two. Then it was like I have fever. After that, I felt like I am being flooded in a sea of warm water. Then it felt like there is something like a bubble moving through my body. This left me with a very comfortable feeling. Today I woke up (chirping!!!). it is like I was charged with an energy booster last night. It feels strange but pleasant. Imediately I felt this sense of wellbeing & an elevation to a higher level. I felt a bodily vibration & mind stimulation which was quite extraordinary & beautiful during the 40 or so minutes that that I used the Frequency. To test just using the Mp3 audio, I spent the last 20 minutes just playing 'Recuperation' through the Mp3 earphones without the FDS & handholds. The result was the same! Yesterday, after the first exposure to 'Recuperation' I felt well enough for the first time in a month to walk the dogs for about 15 minutes. I even caught a bus with my son to ride the ferries on the river - my first real outing in over 4 weeks. And whilst physically tired, I wasn't totally out of it!